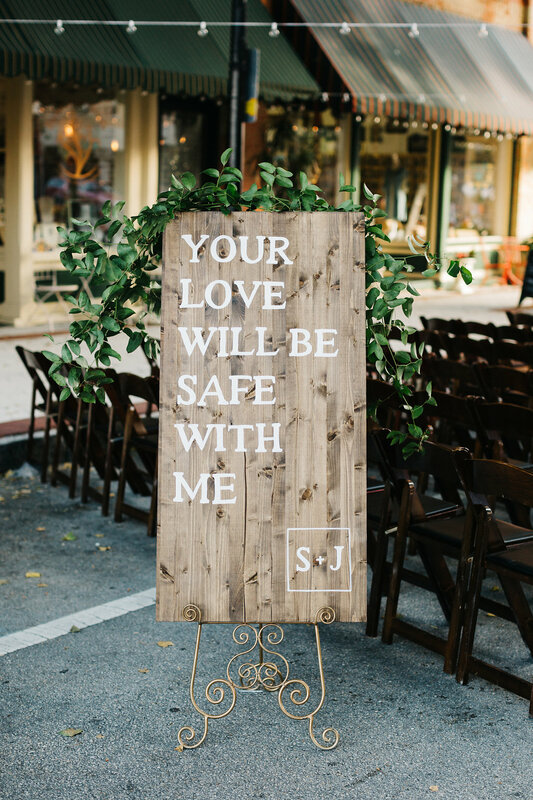 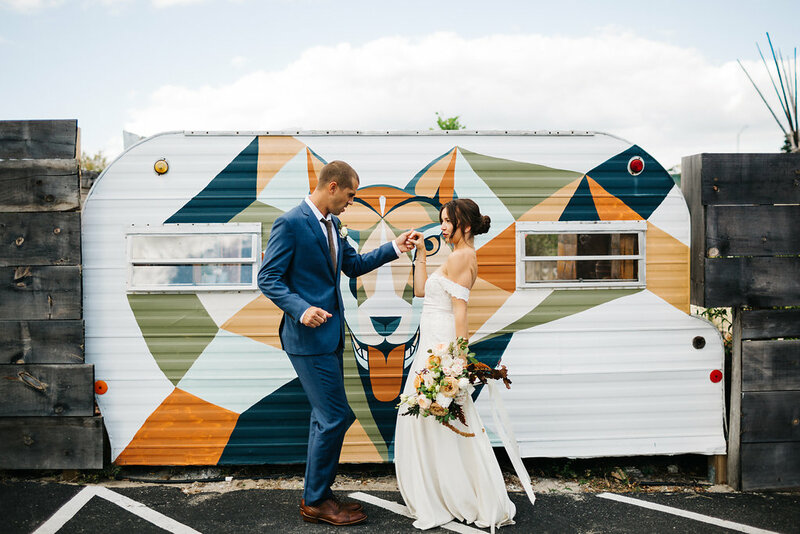 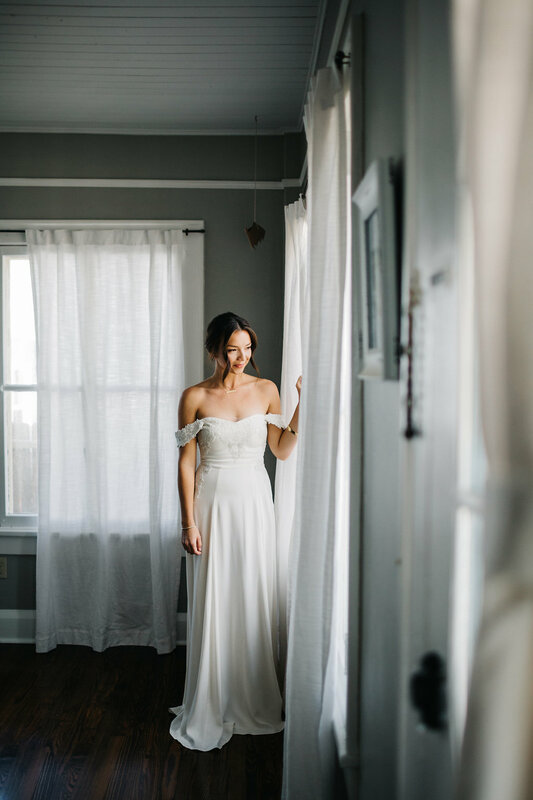 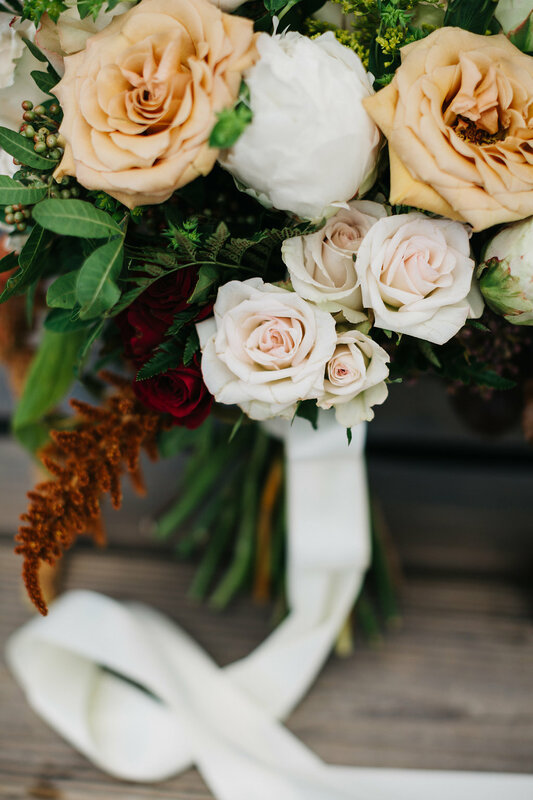 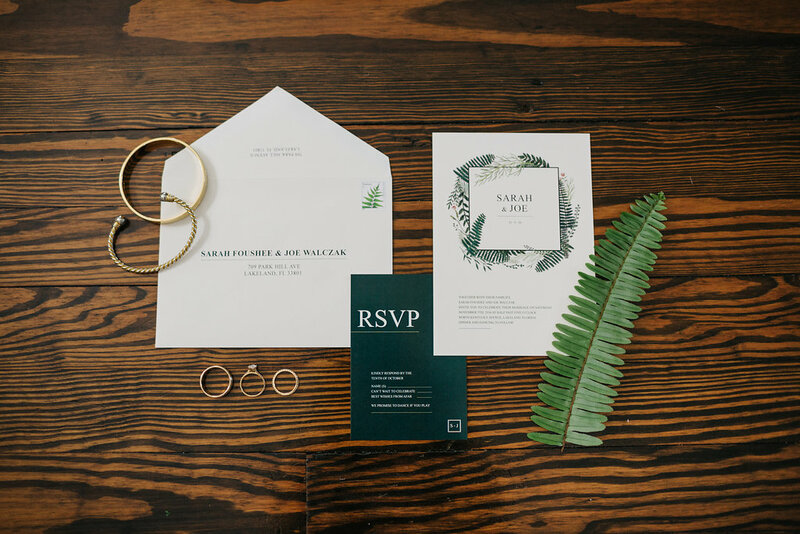 Sarah and Joe were a dream pair to plan, design + create alongside. 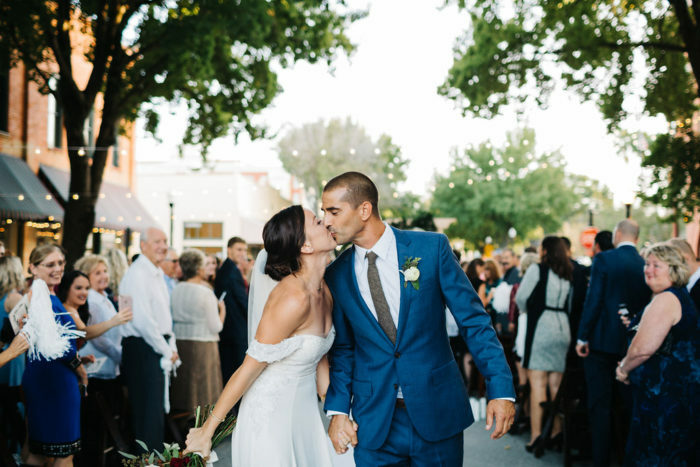 Besides the fact that they look like they could be on the cover of any magazine, their genuine love for each other was so evident that it made telling their love story through decor and details such a simple task. 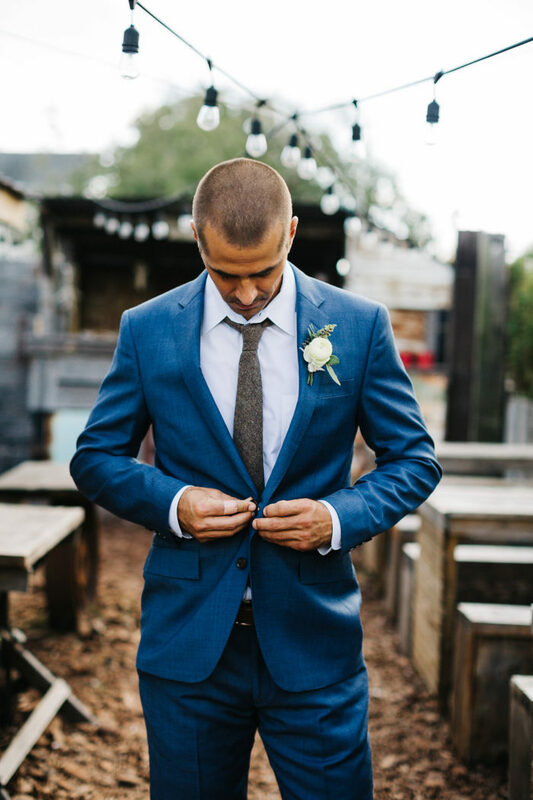 Their uncomplicated, romantic and sophisticated style was something we wanted to exude throughout the day. 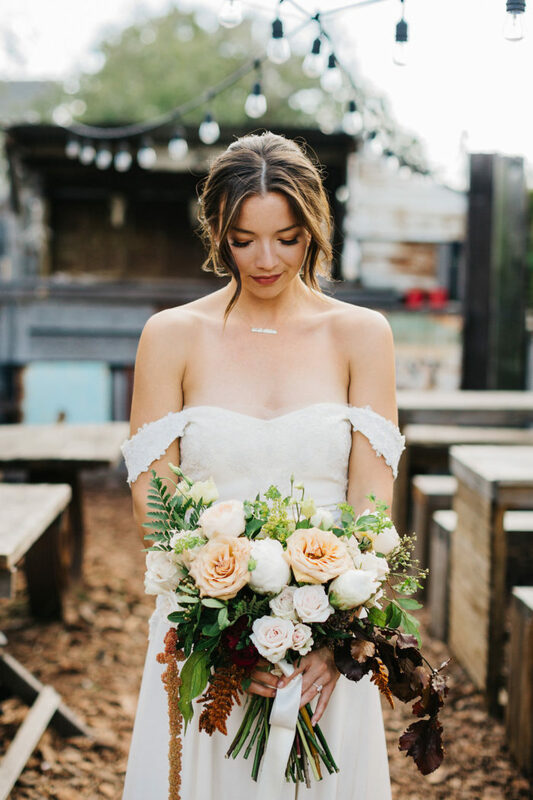 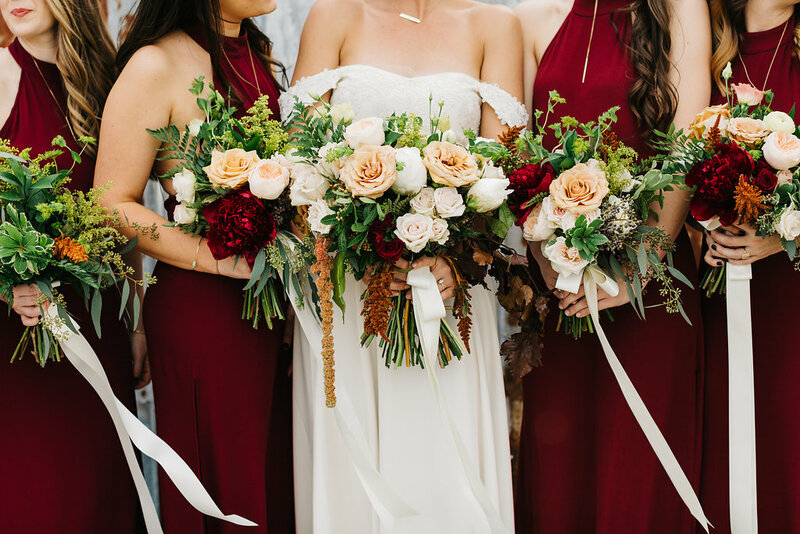 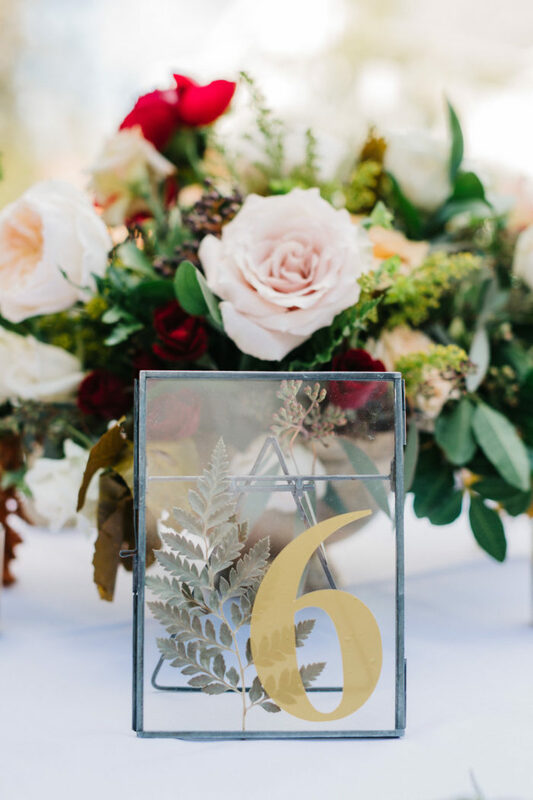 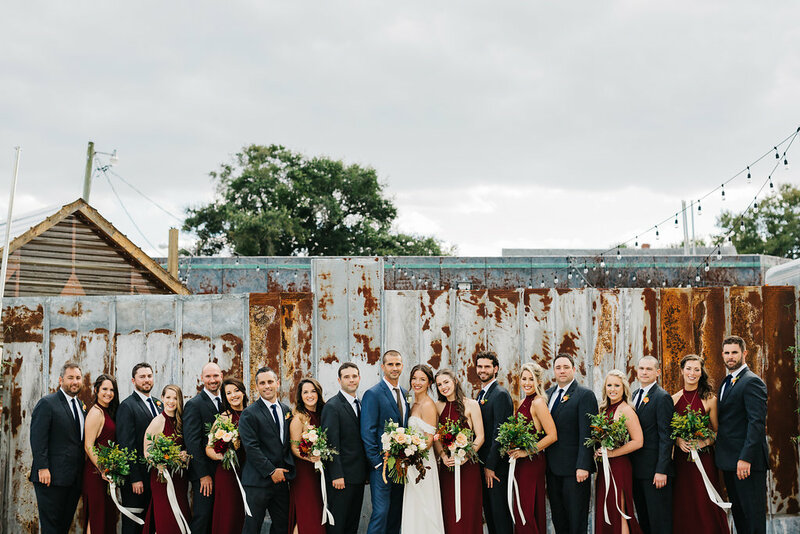 Their color palette was filled with rich burgundy, greens and golds which were complimented by lush garlands and lanterns. 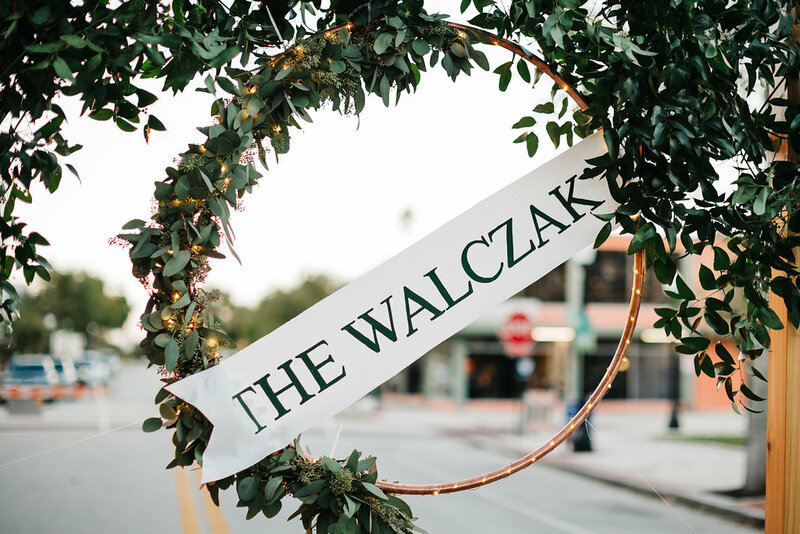 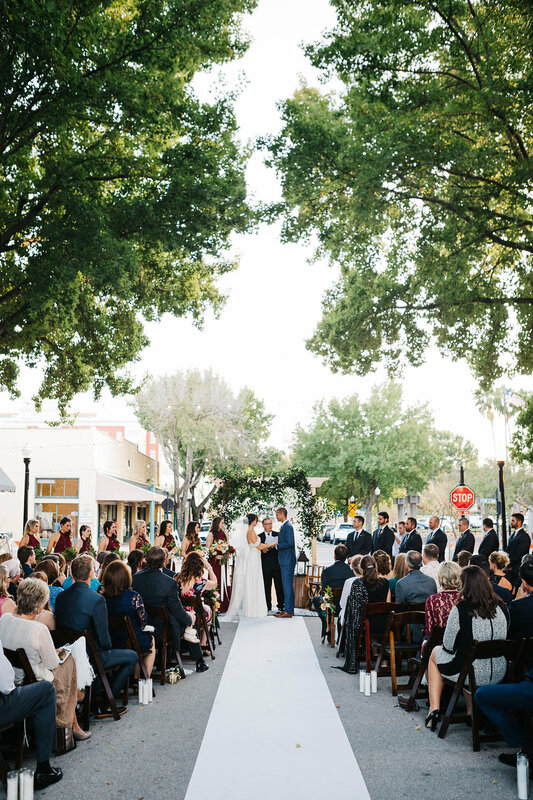 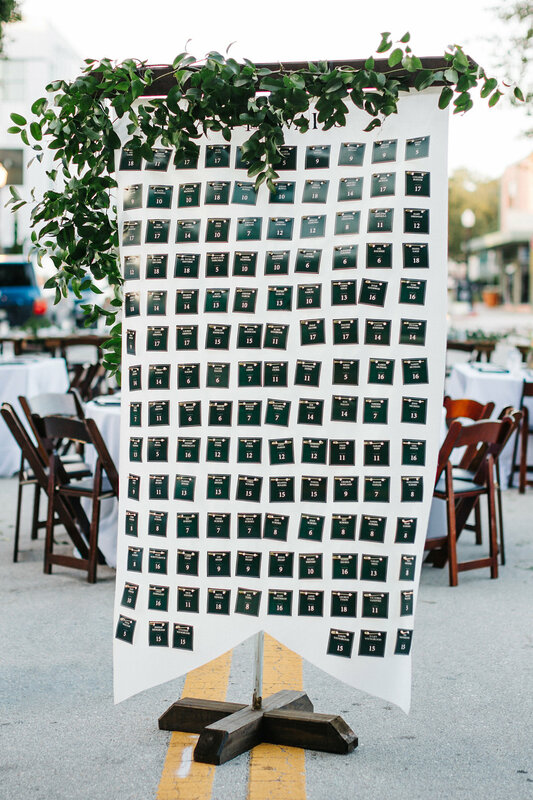 We were faced with a venue change shortly before the wedding day due to construction issues, so we took the party to the street on a sweet block filled with trees in downtown Lakeland. 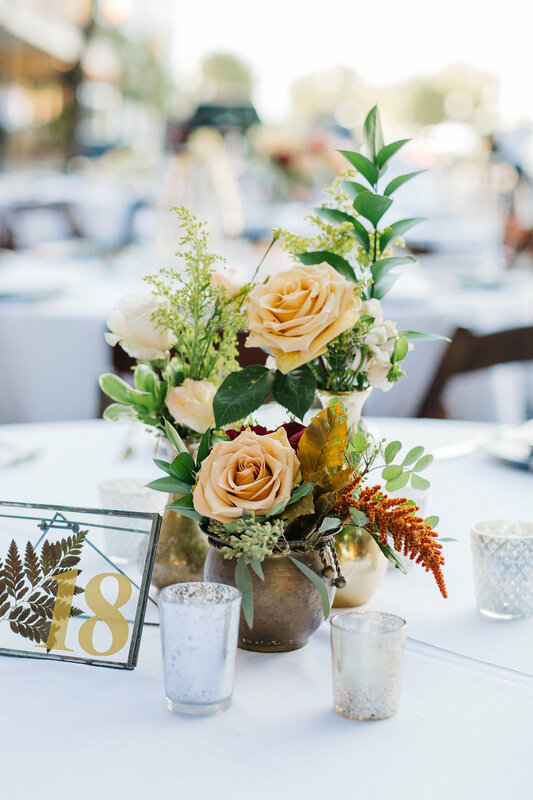 Market lighting was a subtle, but oh so lovely touch to frame out the space. 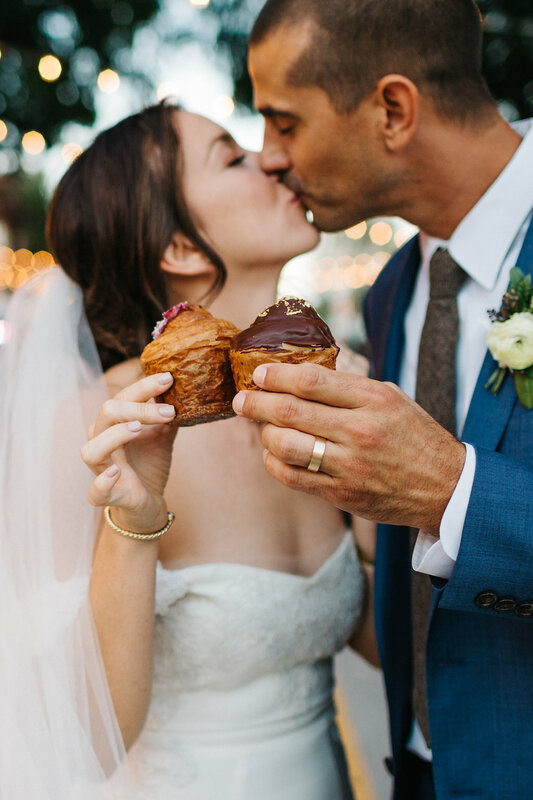 Sarah and Joe have a love for food and music so to end the night, we brought in specialty ice cream sandwiches from A Cow Named Moo and cruffins by Born and Bread for their guests to enjoy as they danced the night away in the street. 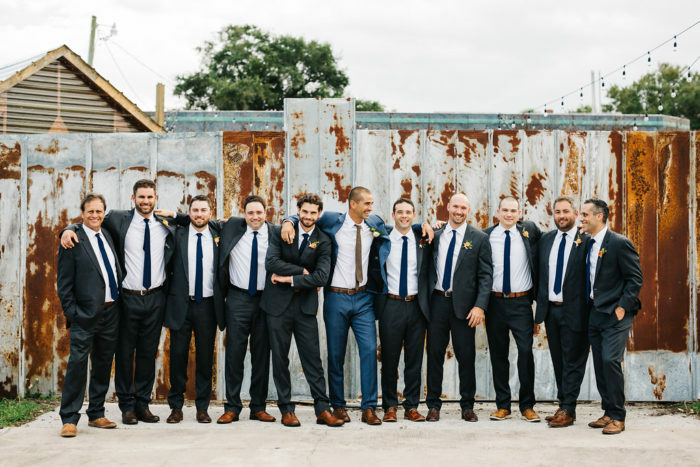 See their feature on Green Wedding Shoes here!